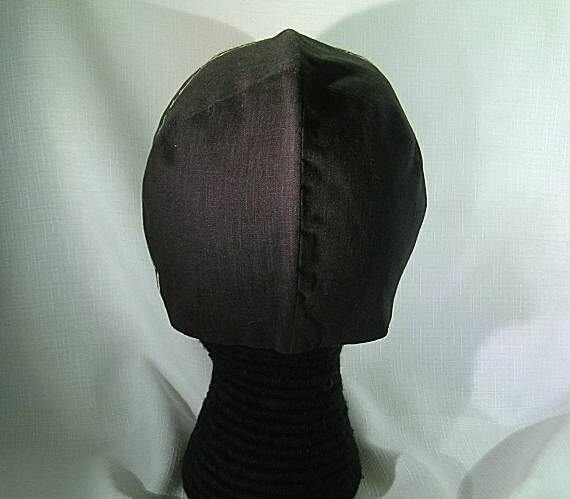 Popular in Tudor and Elizabethan England, as well as Renaissance Italy, this style of coil was worn by women and children. Many paintings show it either worn alone or under a cap. 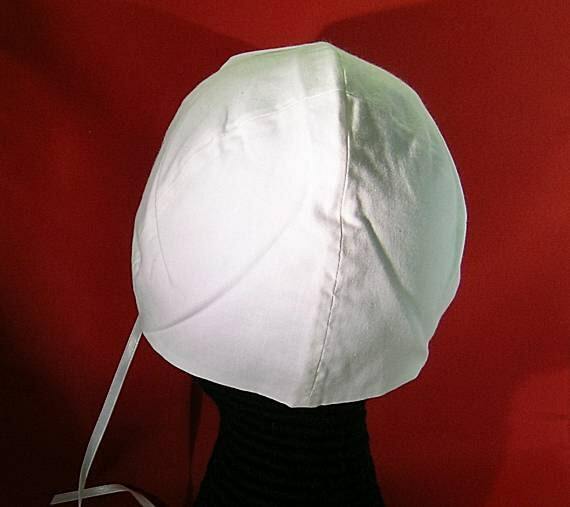 I suspect it was worn for sanitary reasons to keep the unwashed hair out of a person's eyes and from touching the hat. It also keep the lice in place if a person scratched their head and then reached into a serving bowl or platter. Eww! 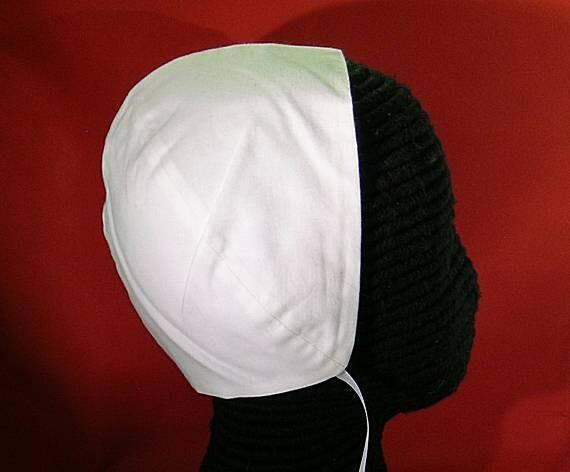 Our version is made of white or black cotton and is fully lined. 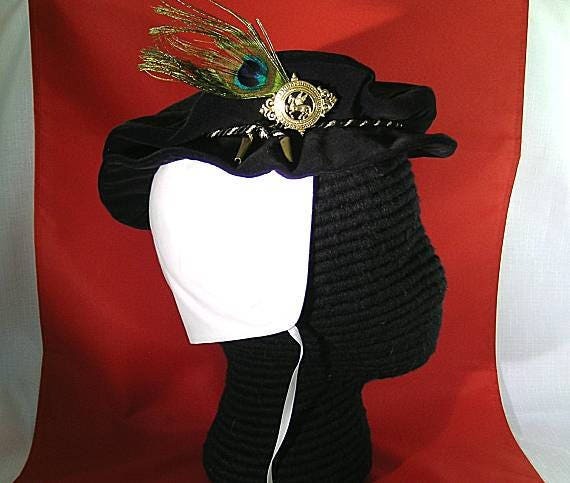 It has ribbons for tying under the chin or to leave hanging at the sides. The last picture shows it being worn with a flat cap. We can make these in other colors, too. Just send us a custom order. Larger sizes and other fabrics (linen and flannel) are available by custom order. Please convo, if interested. 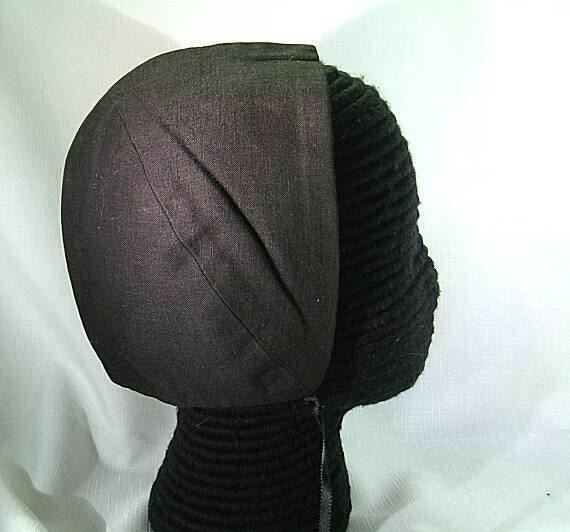 Other coifs are available in the Hats and Headwear section of our shop. Thank you for another awesome coif! I'll wear it with pride!